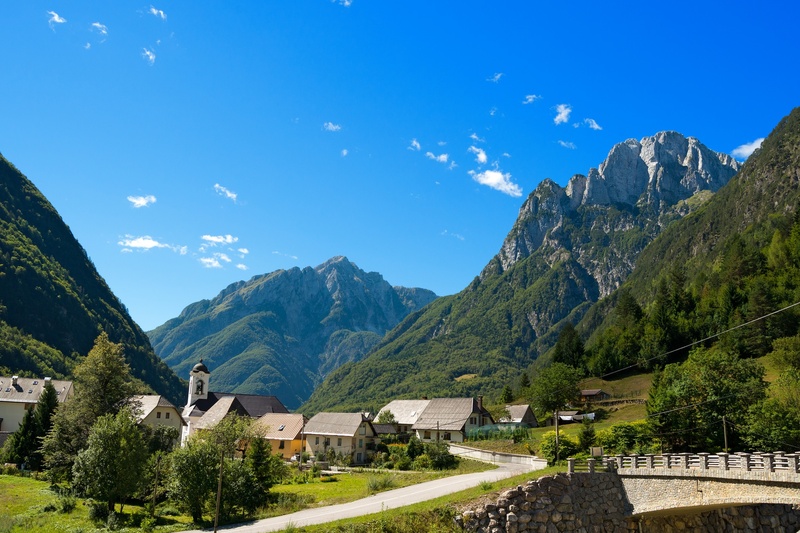 Crossing the border from Friuli to Slovenia you'll notice both the continuity and the diversity of this area that has been occupied by various European powers over the years. There’s a lot of history involved in this cycling and multi-sport tour, with a focus on the years during and between the two World Wars. Our visit to the WWI Museum in Caporetto-Kobarid is the best way to get to know the history and the geography of these two regions. Both Friuli and Slovenia are big wine producers, especially of white wines, and it’s interesting to taste the same grape varietal cultivated in different soils and climates. Friuli’s wine regions of Collio and Colli Orientali del Friuli will be the backdrop of our cycling ride towards Slovenia, and in Slovenia we pass through the wine areas of Goriska Brda, Kras and Vipavska Dolina. You could witness the beginning of the grape harvest and the start of the winemaking process, with the help of some local wine producers. Rolling vineyards, lush, green forests and snowcapped mountains form the backdrop for much of our riding along smooth, uncrowded roads and bike paths. The views are just as spectacular when we are off the bikes enjoying a variety of multi-sport activities, including river rafting, hiking, and much more. 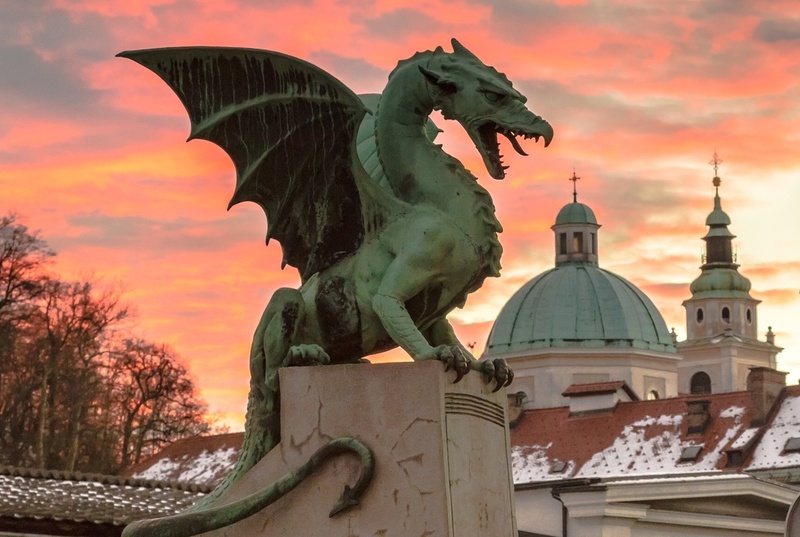 Slovenia’s identity, and its formal and informal divisions with the bordering region of Friuli were shaped in part by the conflicts of both World Wars. During World War I, after the Italian attack on Austria-Hungary in 1915, the Italian front opened, and some of the most important battles (the Battles of the Isonzo) were fought along the Soca River and on the Kras Plateau in the Slovene Littoral. With the collapse of the Austro-Hungarian Monarchy in 1918, the Slovenians initially joined the State of Slovenes, Croats and Serbs (later Kingdom of Yugoslavia). The western part of the Slovenian Lands was annexed to the Kingdom of Italy and became known under the name of Julian March. In April 1941, Yugoslavia was invaded by the Axis Powers. Slovenia was divided between Fascist Italy, Nazi Germany and Horthy's Hungary. Soon, a liberation movement under Communist leadership emerged. Due to political assassinations carried out by the Communist guerrillas as well as the pre-existing radical anti-Communism of the conservative circles of Slovenian society, a civil war between Slovenes broke out in the Italian-occupied southeastern Slovenia (Ljubljana, Lower Carniola and Inner Carniola) between the Liberation Front of the Slovenian People and the Axis-sponsored anti-communist militia. Nevertheless, the Slovenian partisan guerrillas managed to liberate large portions of the Slovene Lands, making an important contribution to the defeat of Nazism. A private shuttle will take you to our hotel near Gorizia, where your guides will be waiting to welcome you with a light lunch. In the afternoon you'll do a short ride to San Floriano al Collio to try out the bikes and prepare for the first real ride of the tour on day 2. San Floriano al Collio, as the name indicates, is located in the Collio wine area near Gorizia and you’ll have the possibility of riding through the vineyards up to the top of the little town of San Floriano, where you can enjoy a stunning view of the surrounding hills. Back at the hotel, you will receive an in-depth description of the tour program over a welcome cocktail. 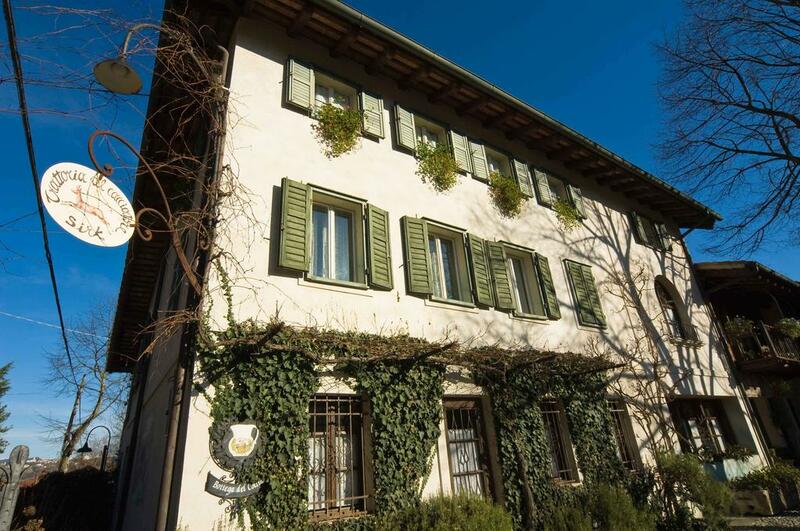 La Subida is a charming country hotel and the hospitality of the Sirk family is legendary. Tonight, we will have dinner at l'Osteria, which is part of the La Subida Estate. La Subida is a place that makes our guests feel at home and relaxed. It's unique. We will spend two nights there. The first longer ride of the tour takes place in the morning right after more bike fitting and leads us northward to Cividale del Friuli. We will be pedaling through the Collio and Colli Orientali del Friuli wine area for about 30 mls of easy and rolling terrain. Cividale del Friuli will be our lunch stop and then we will head back to La Subida from a different road. Before reaching the hotel, we will stop at Abbey of Rosazzo to taste Livio Felluga wines and to enjoy the view from this special place. Dinner along with a cooking demonstration of Friulian dishes is planned at La Subida with chef Alessandro Gavagna (one Michelin star). 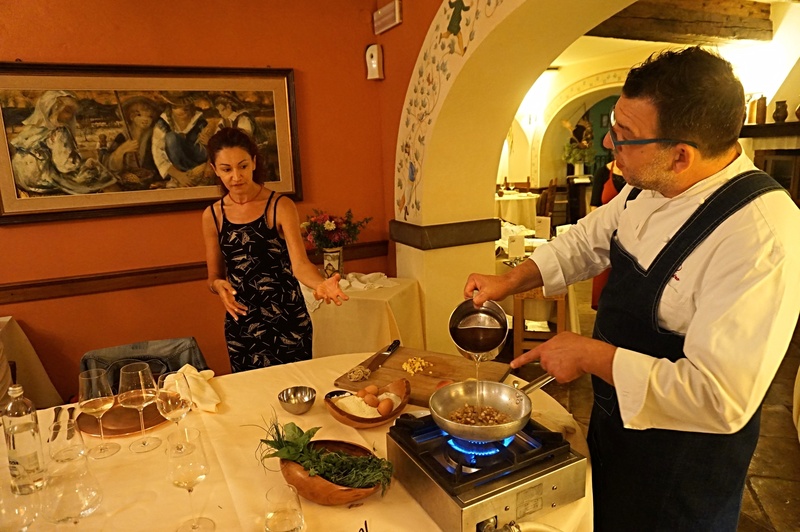 It is the perfect setting to learn about Friulian and Slovenian food and culture. The recipes prepared under our eyes will be expertly paired with local wines. The longest ride of this tour takes us out of Friuli, heading northeast to reach the border of Slovenia. We will notice the landscape changing as we ride through the lowest mountain pass of the Alps, a long, easy smooth climb that takes us to the former checkpoint between Italy and Slovenia. The border is now only geographical but there are still old buildings that once served as checkpoints and now house grocery stores and restaurants. 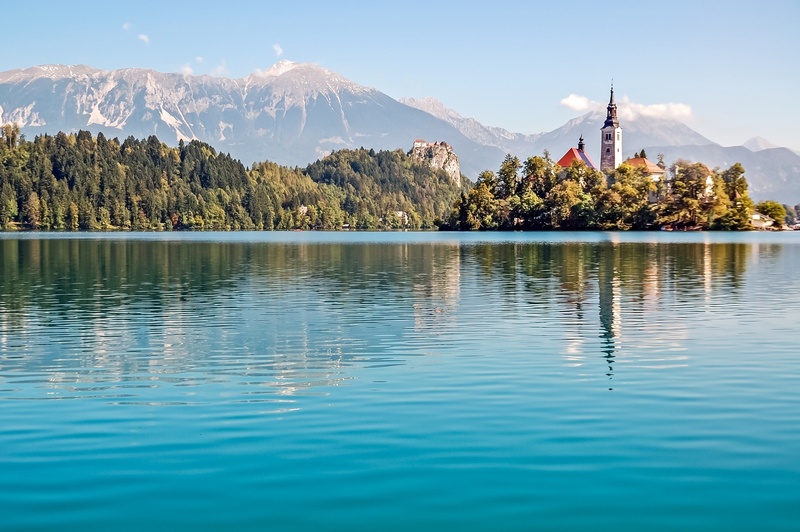 Entering Slovenia we will find ourselves in a lush, green landscape with the typical vegetation of a mountain region, with rivers, waterfalls, and forests. Silence and very few cars make this and the next rides heavenly. The first stop will be Caporetto/Kobarid to visit to the WWI museum, a small but very complete and interesting house where the people from Caporetto collected pictures and objects through which they the history of WWI as it was lived by the soldiers and normal people in those areas of Italy and Slovenia where we bike during our tour. 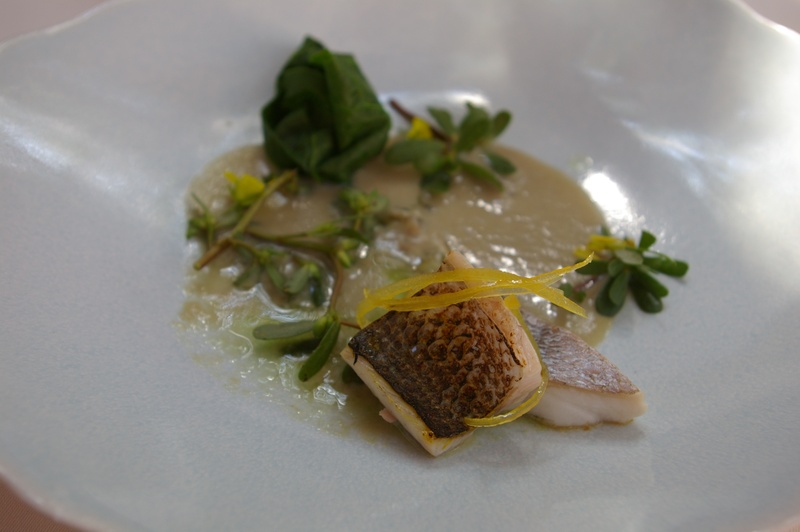 Lunch will be at Hiša Franko and it will be cooked by Chef Ana Ros. She was one of the chefs featured in Netflix Chef’s Table. This is a meal we won’t forget! The second half of the day cruises us to Bovec where the hotel Dobra Vila and its lovely hosts will be waiting for us to welcome us in their house-style hotel to enjoy a cold glass of wine on the patio while watching the sunset behind the high mountains that surround the valley where Bovec is nestled. A short walk to the center of Bovec and we will find our dinner table ready at a local Gostilna, a simple, typical restaurant ‘trattoria’ style. 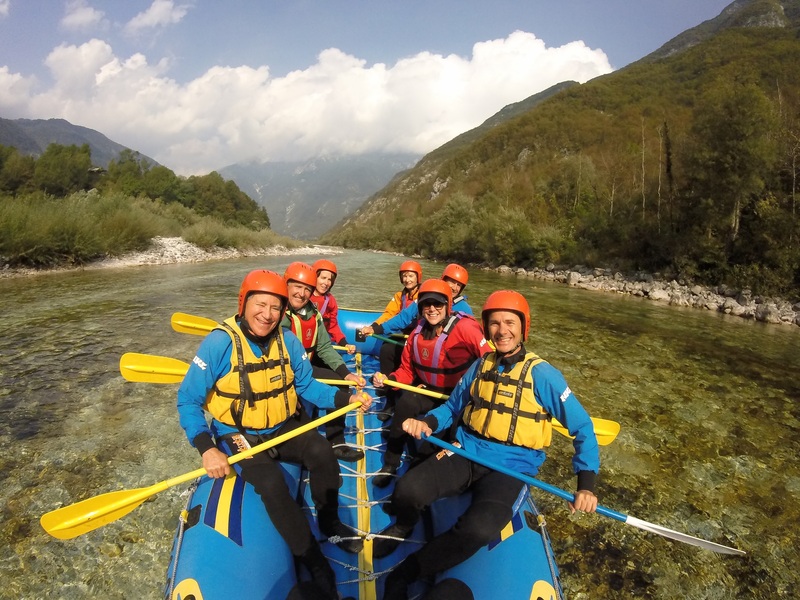 Bovec is known as the adventure capital of Slovenia, and we have a full day here to rest and enjoy a wide range of outdoor activities: kayaking, rafting, canoeing, paragliding, mountain biking, hiking and more. River rafting in the emerald waters of the Soca River while immersed in the landscape of high peaks, forest and waterfalls is an unforgettable experience not to be missed. For those who like hiking, there are some interesting trails with historical traces of WWI and WWII just outside of Bovec, with a war cemetery, two old forts and some bunkers and tunnels dating back to the Napoleon era and WWI. 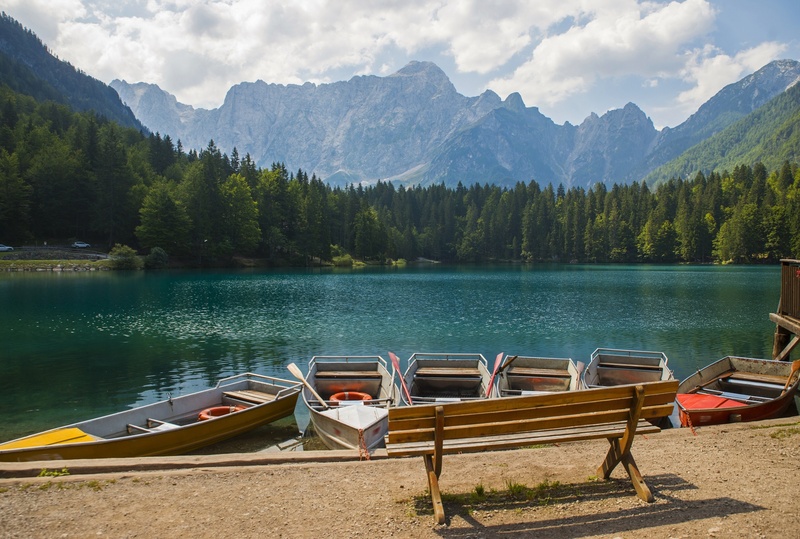 A bike ride will also be available if you want to explore the countryside up to the edge of Triglav National Park, in a remote little valley where only sheep and cows are witnesses to our slow-paced ride through paradise. The group will gather in the late afternoon for a wine tasting in Dobra Vila’s cellar with a local winemaker who will introduce us to his production. Dinner follows in the stylish dining room at Dobra Vila, another unforgettable gourmand experience. Today we’ll go across the Alps to reach Tarvisio, a town on the border where Italy, Austria and Slovenia meet. A bus will shuttle us and our bikes over a mountain pass and down to the enchanting Fusine lakes where an easy and flat bike path starts. We’ll follow this path along the valley, once again immersed in a beautiful forest and with mountains all around us. Past the town of Kranjska Gora we’ll leave the main path and enter a secondary valley, now riding on an unpaved (but smooth) bike path. This valley, the Radovna Valley, is the most beautiful, magical and enchanting place of the whole tour. Streams, small waterfalls, tall trees, water mills, a few old farmhouses and some cows are what we will see during the almost 10km of riding in this heavenly valley. 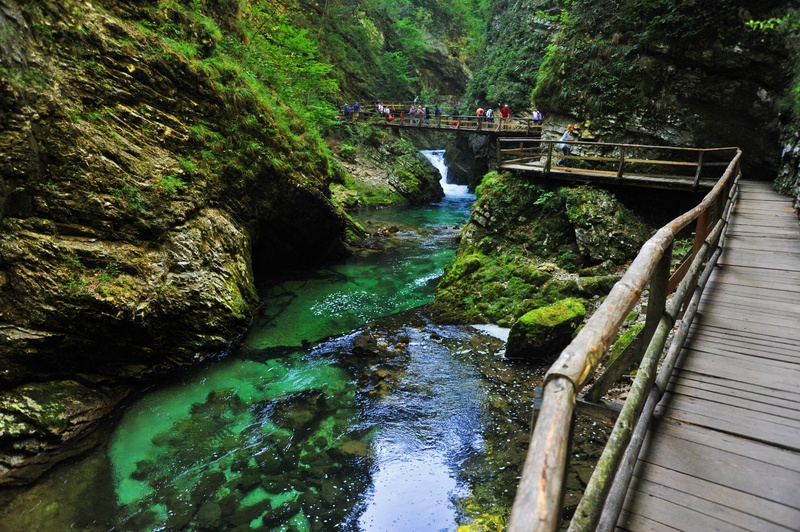 Once we leave the valley we will be very close to Bled and if time and weather permit we can take a detour to admire the Vintgar Gorge, a canyon carved by the Vintgar River. A boardwalk runs along the gorge and from there we can view waterfalls and rapids. 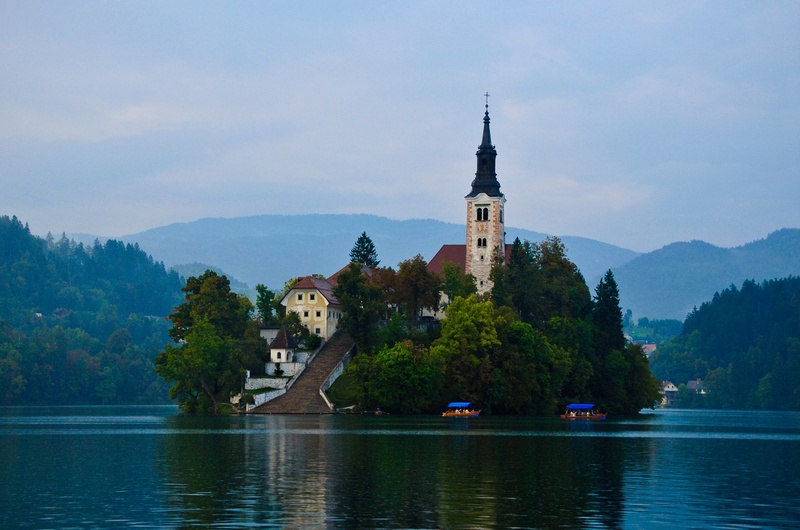 Bled is our final destination today. 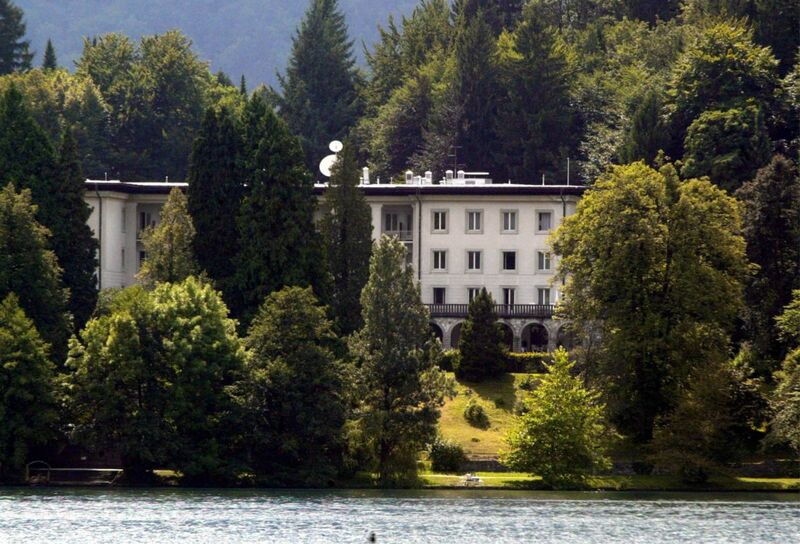 We’ll bike along the lake shore to reach Hotel Vila Bled, located about 1km away from the very center of Bled. The building was once one of former Slovenian dictator Tito’s residences and is now a luxury hotel, complete with a spa and a huge park with direct access to the lake. Some free rowboats are available for guests to take onto the lake, and if you make it to the island in the middle you can visit its small church. Dinner will be at Vila Bled, hopefully outside with a view of the lake if the weather allows. Today we’ll transfer by private bus (about 1 hr) to Ljubljana. 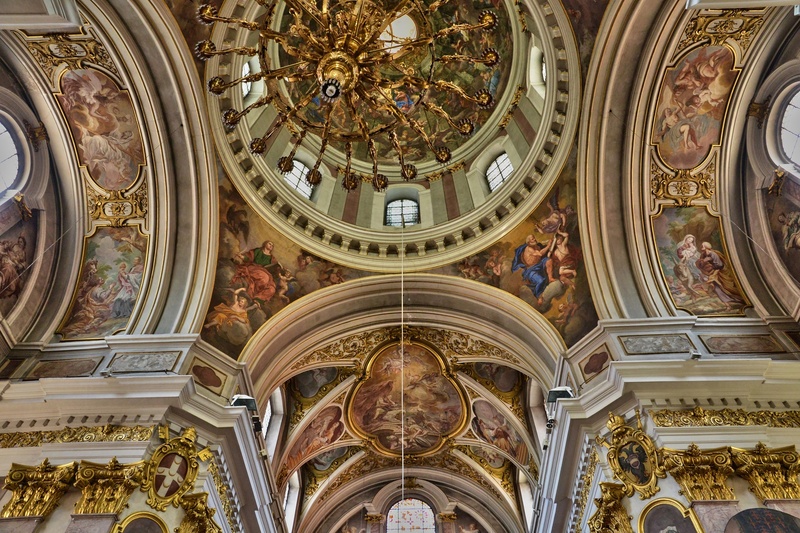 Upon arriving, we will have a guided visit of the town center of this UNESCO recognized gem. Most of the city center is pedestrian only. 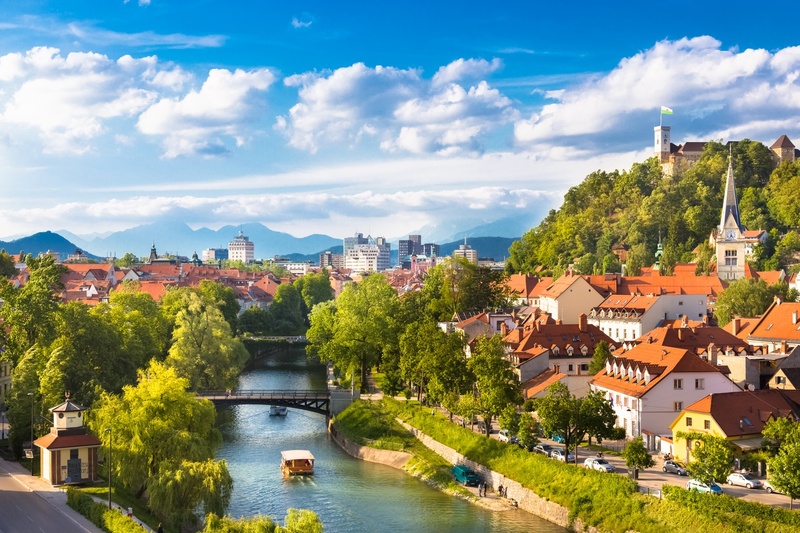 Ljubljana was named European Green Capital for 2016 to celebrate the city’s sustainability efforts. After some lunch, you will have free time to settle in (the hotel has a spa facility), to explore the town and do some shopping on your own. We will enjoy our final dinner at one of the finest restaurants in town. After breakfast, we’ll provide a transfer to the airport or to your next destination. Trieste is the nearest airport to the starting point. Other transportation - Private transfer by Tourissimo from the Trieste airport to the first Hotel. Upon request, guests can be picked-up elsewhere (additional cost). Alternative: Venice (airport code VCE). Private transfer by Tourissimo to the airport. Upon request, guests can be taken elsewhere (additional cost). Recreational/Active/Athletic - Recreational: 15 to 40 mi a day along rolling and hilly terrain. In September, temperatures average 13C (56F) low / 25C (77F) max - precipitation probability 30%. We've put a strong emphasis on the food and wine of Friuli and Slovenia in our tour, and you will be able to take part in several activities that will get you familiar with local delicacies. The cuisine of Friuli reflects the varied cultures that surround this region and the focus is on simple, homemade products. Pasta, an Italian staple, is eaten in many different forms: lasagna noodles are topped with poppy seeds and gnocchi can be mixed with goulash or smoked ricotta. Polenta is served with meat, game or cheese. A wide variety of soups (an influence from Central Europe) are consumed with different types of dumplings. Friuli is known for its Prosciutto di San Daniele DOP, a cured ham with a sweet, aromatic flavor that is served with bread, melon or figs, and is paired with local white wine. Speaking of wine, the Collio region is a land of big white wines like Pinot, Tocai Friulano, Sauvignon and Collio Bianco. 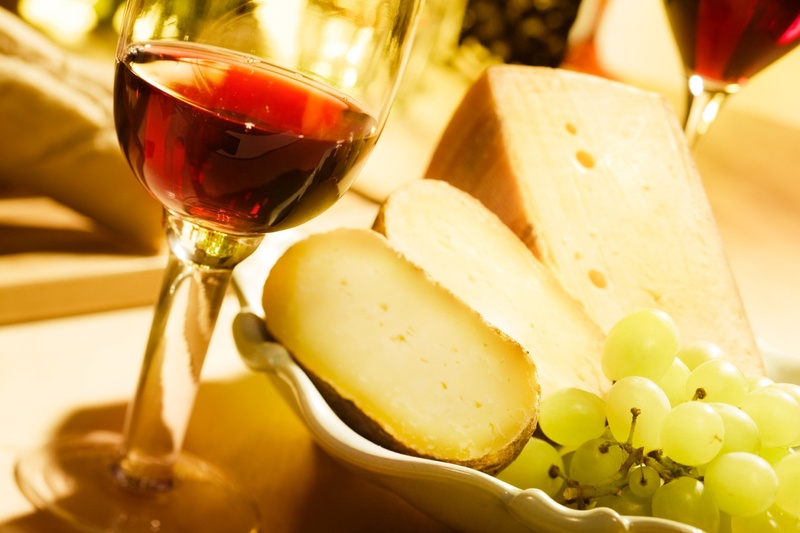 A smaller production of red wines includes Cabernet, Merlot and Collio Rosso. The Slow Food presidia in Friuli Venezia Giulia are strictly linked to the traditional Friulian lifestyle of farming and cooperation. Among the Slow Food recognized products we have Garlic from Resia, Radìc di mont, Formadi frant, Pan di sorc, Pestàt from Fagagna, Cheese from the rotational dairies. The pan di sorc (sorc means maize flour in Friulian), is a sweet and spicy bread, rich in transalpine influences. The locally grown cereals, called cinquantini, grow and ripe in a period of 50 days at the most, even then managing to do a complete cycle also in the chill and rainy Gemona area. The pestàt from Fagagna is a very peculiar seasoning created to preserve the scents and flavors of autumn vegetables and herbs in pork lard. Its production, on a family level, occurs during the slaughter of pigs, from November to March. The lard, coming from local pigs bred in a semi-wild manner with natural feeding, is minced and mixed with chopped vegetables and spices, put into natural casings and matured in damp and cool cellars. Producing cheese from the rotational dairies was an economical and easy way of managing the milk, suitable for the small-scale dairy production of Friuli's territory, with many farmers in every village. The milk of many families was put together and processed together. The cheese produced, simply called "latteria,” is aged for up to one year. 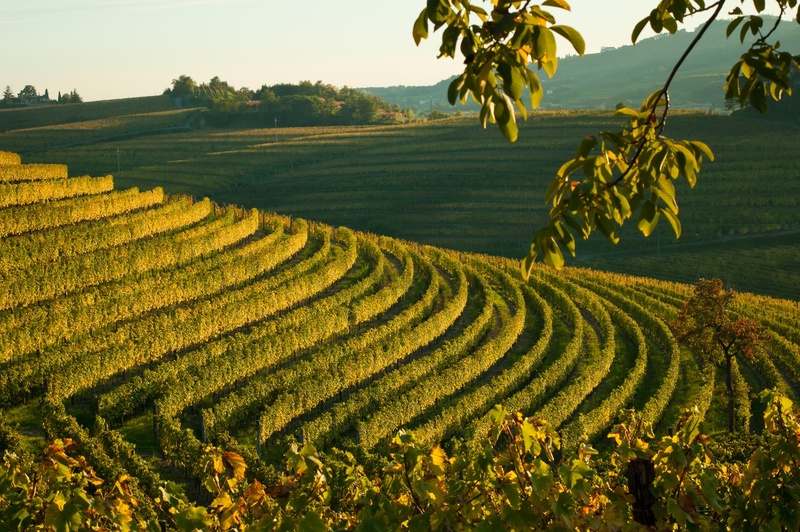 The vineyards of the Italian Collio continue into the Slovene Brda, where the rolling hills create several different microclimates. 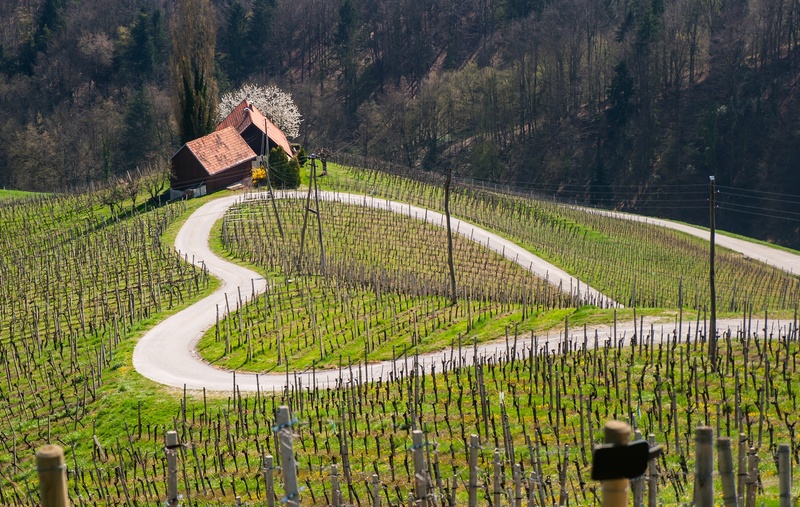 Unlike many of the major wine regions of Europe, Slovenia's winemaking history predates the Romans, and can be traced back to the early Celtic and Illyrian tribes who began cultivating vines for wine production sometime between the 5th and 4th centuries BC. Under Communist rule winemaking traditions were lost, but recently a generation of post-Soviet era vintners are rediscovering them, and since Slovenia’s 2004 entrance into the European Union, their wines are being more widely distributed. Some popular varietals are Refosk (Refosco), Sauvignon Blanc, Ribolla Gialla, Pinot Gris, Malvasia and an indigenous grape called Pinel.